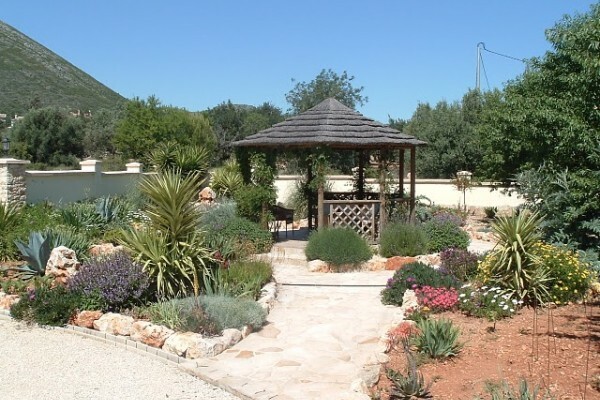 The Jalon Valley is beautifully situated, nestling in the heart of the Costa Blanca. It is a small jewel renowned for its almond blossom and wine production. The valley is the starting point for trips into the Sierra de Bernia, the Coll de Rates and the cova de les Merelles. With beautiful beaches surrounded by many bars & restaurants. Only a short distance from the main towns of Jalon, Denia, Javea, Calpe, Benidorm and Moraira it offers easy access to golf courses, theatres and airports (both Alicante and Valencia). We are only a 15-20 minute drive to most costal locations and can provide tourist information and maps if you require. Each bedroom has tea/coffee making facilities. A 20% deposit is required 6 weeks in advance of arriving. All cheques to be made payable to R&I Lees. All rooms are 45 to 60 Euros per night per room. No experiences yet with B&B Arco Iris. Be the first! Did you stay in B&B Arco Iris? Let us know what you thought about it and help others to make the right choice! * I confirm having stayed in B&B Arco Iris. 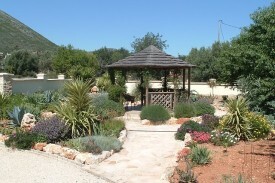 Find other bed & breakfasts in Llíber or all bed & breakfasts in Valencian Community.